Our house is still in the recovery stages of the flu, so nobody is eating much and I haven't baked a thing in days. It is weird. But I had to show you something nice so I looked up some past projects and wanted to share this one with you. It is a carrot cake I made for my mother in November. 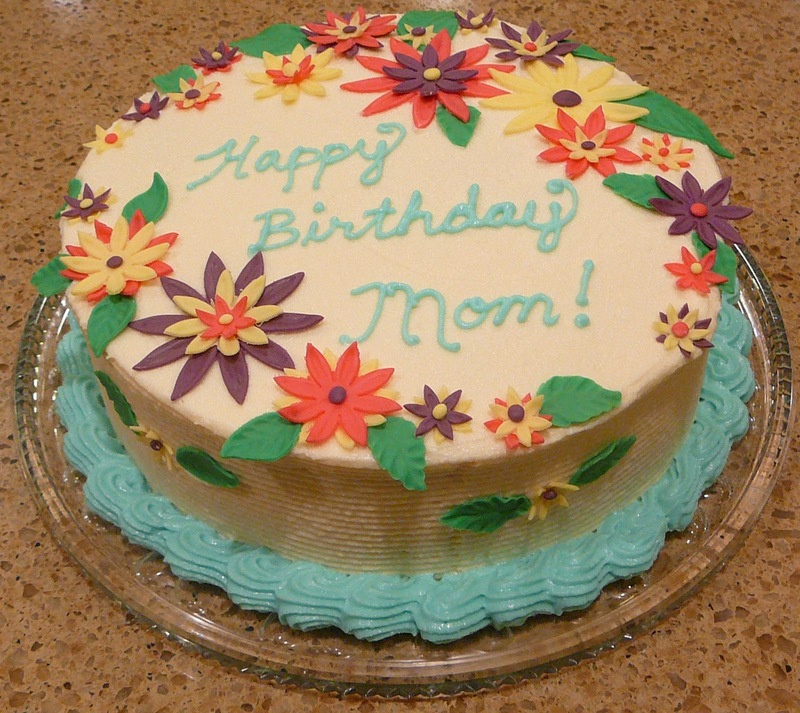 I covered it in a cream cheese icing and all these lovely flowers. She loved it - because it was home-made, a carrot cake and it had cream cheese icing. I thought I had tinted the cream cheese icing for the trim and writing a pretty blue, but I was not happy with it once it was on the cake. By then it was late and I left it. My mother loves me anyway! I noticed that the flowers went soft again once they were on the cake. I think they soaked up the fat from the icing beneath them. It all tasted delicious anyway so it was all good. This time, I did the writing free-hand.